CoWorker Matt brings this meal to the table. 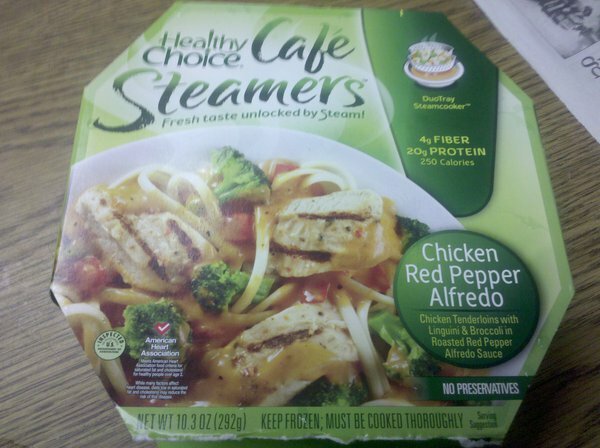 It’s another of those Cafe Steamer bowls from Healthy Choice and this one is right up my alley! ALFREDO! Take a long look at that. Pay attention to all aspects of it. The chicken, especially. The chicken on the box looks so excellent. Instead you have weird bits of likely processed chicken. Nothing looks as awesomely fresh as on the box, and to be honest…That’s a really small portion. Even for a diet meal. Color me unimpressed. TastyLies.com is an awesome website where all of your culinary dreams come true. If you dream about whether or not a frozen meal looks like the box it comes in. If you do, we're sorry. What? That’s all you get? That just isn’t right..I would be STARVING!!! after eating that. You shouldn’t. It’s ridiculous. But if you do…Take pictures! I tried this meal today, it was very tasty. 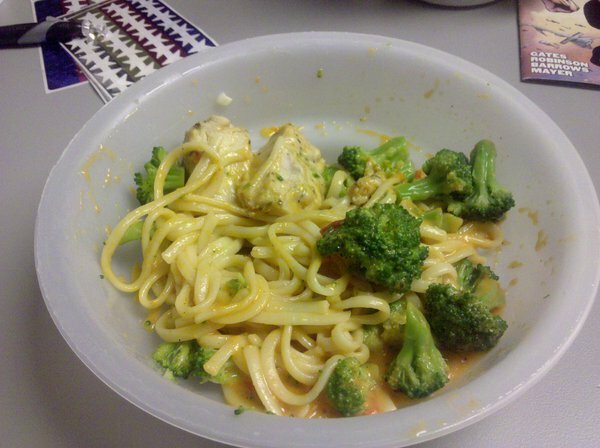 The portion in the box was much larger than what you have shown here and there was plenty of Alfredo sauce. Are you sure you didn’t eat half of the meal and then take the picture ?